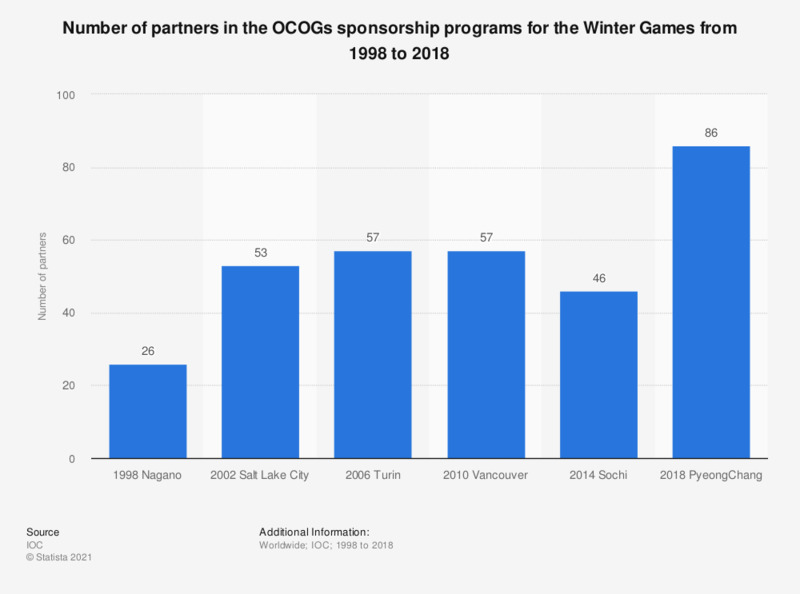 This graph depicts the number of partners in OCOGs sponsorship programs for the Winter Olympic Games from 1998 to 2014. In 1998, at the Nagano Winter Olympics, 26 partners participated in the OCOGs sponsorship programs for the Winter Olympic Games. The Organising Committees of the Olympic Games (OCOGs) organize the Olympic Games. Domestic OCOG sponsorship programs usually include several tiers of partnership, which may include sponsors, suppliers and providers. The figures in the graph represent the total number of marketing partners from all tiers of the domestic program.